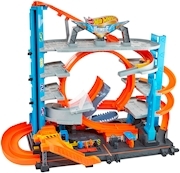 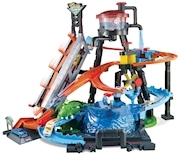 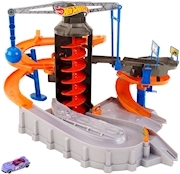 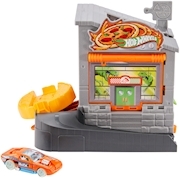 The Hot Wheels® Construction Zone Chaos play set provides a continuous, dynamic play pattern and an exciting storytelling moment for growing Hot Wheels® fans. 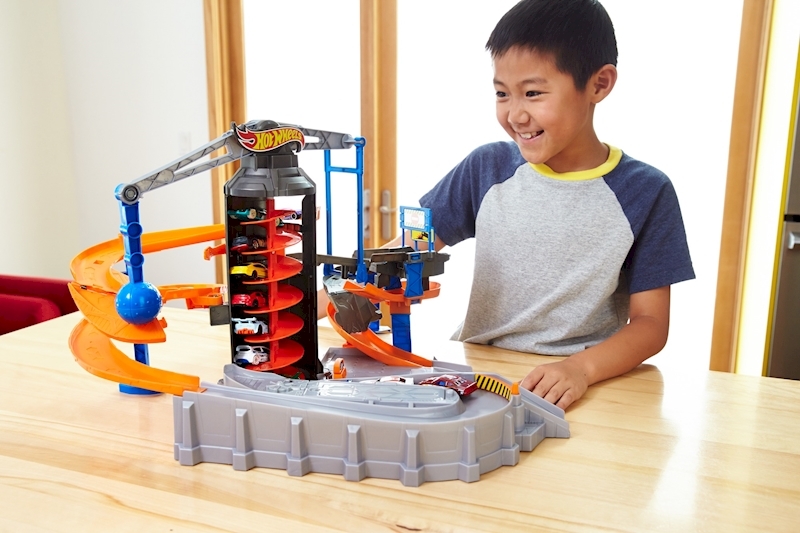 In this large motorized set with colorful construction-style theme kids can rescue trapped cars from various obstacles and save the day! 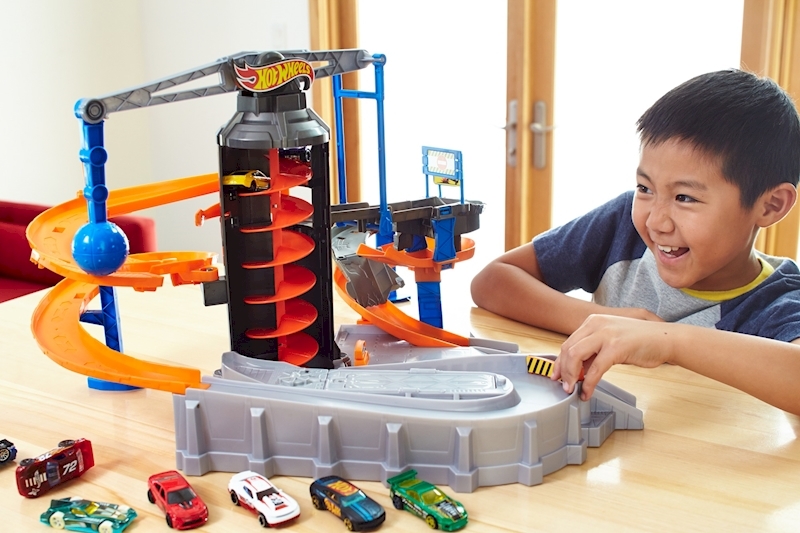 The motorized feature and multi-car action contribute to continuous vehicle play and a variety of problem-solving opportunities. 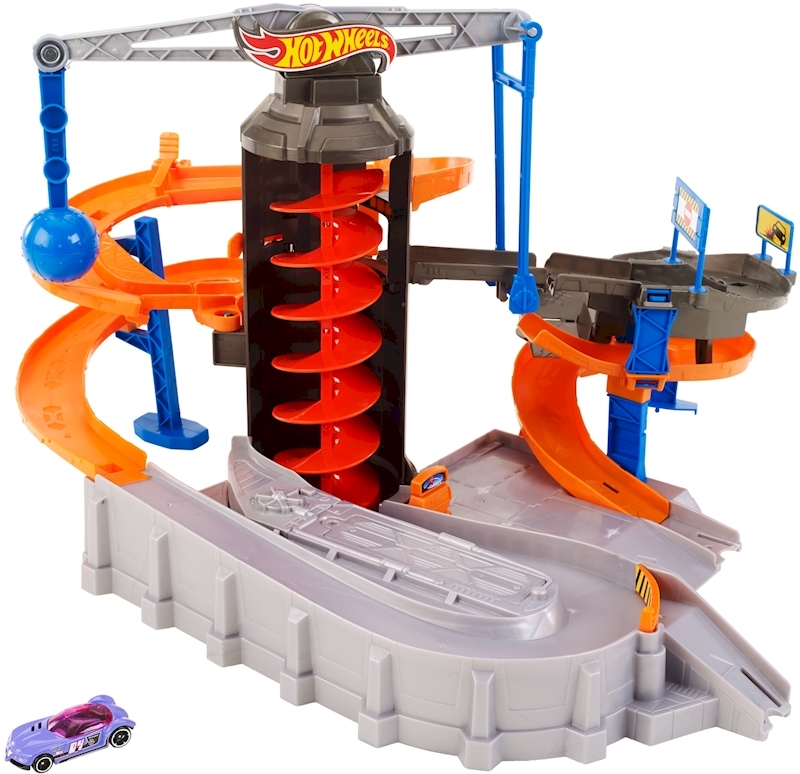 Includes multiple levels and moving parts like a wrecking ball and one Hot Wheels® vehicle. 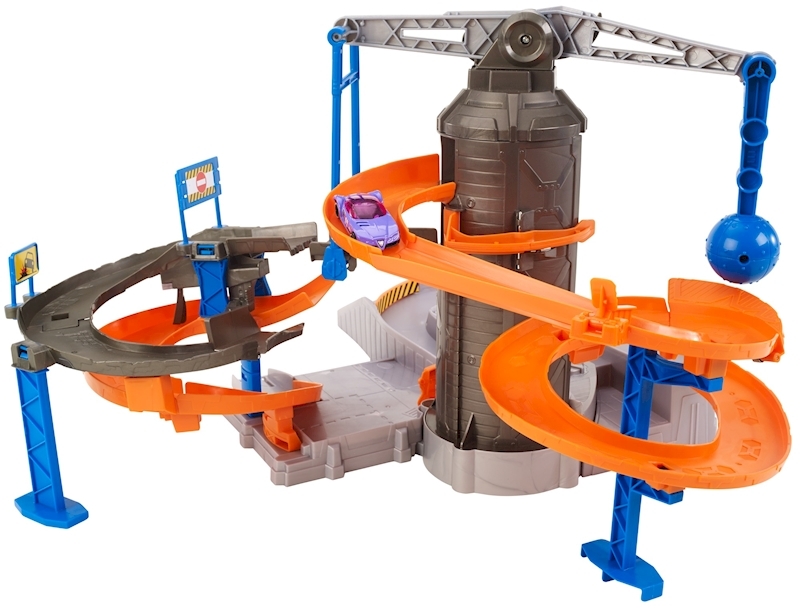 Each sold separately, subject to availability.